Welcome to my first ever love letter, newsletter! I can’t believe I have fooled you into subscribing, still a big THANK YOU nevertheless! You won't regret this! Let's get it on, yeah? TRAVEL TIPS - Find a friend who is a travel consultant. Invite him or her over a meal (preferably during the weekends as they tend to get busy during the weekdays with their clients). A travel consultant you must consult is the one who is passionate about traveling (you can check their company’s profile where they usually post a short self description and also the reason why they are in the travel industry). Be considerate of course, a travel consultant’s life is a busy one, but they hold the knowledge who can get you your dream trip. If you have a destination in mind, make a call first and ask your friend if he or she have been to that place or if he or she have any knowledge at least. Then casually ask your friend out, tell your friend it’s going to be your treat ('cause who doesn’t love a free meal?). You may ask your friend about travel deals available, the seasonality or when it will be cheaper to travel at a certain destination, and things you should look out for. Your friend may not be able to do all the booking reservations for you but they can definitely direct you to the right direction. If you don’t have any travel buddy yet, invite your friend to go with you too and you’ll absolutely save so much time and money! Have you heard about the Cold War between NATO and the Soviet Union which partake during the year 1947 - 1991? There were a lot of spies at that time. One time US captured a Russian spy named Rudolf Abel (played by Alan Alda) and so they looked for an American lawyer who could represent him. They found James Donovan (played by Tom Hanks) who despite of people discouraging him (people hated him for defending the enemy), did everything in his power to spare the spy the electric chair death. Because of what James did, justice have prevailed. The movie was inspired by true events and was directed by Steven Spielberg (What’s not to love, duh? ), and saying the movie was great would be an understatement. The value of doing what is right (a.k.a. justice) was portrayed and I couldn’t help but admire the courage. Whenever I watched this kind of movie, I wished I took law. I FINALLY got to read Outliers (The Story of Success) written by Malcolm Gladwell, its first edition came out last 2008. Malcolm Gladwell is known for his books: Tipping Point, Blink and David and Goliath with subjects about psychology and sociology. Firstly, I love his works because I get to learn a lot of things that I don’t usually hear in the community and culture I am living in! Each sentence in the book gives you the aha moment. This is the 4th non-fiction book I have read written by him. His research were all astounding. In Outliers, he described the qualities of successful people, what made these people successful? From this book, I have learned that being smart is not enough to be successful, you also need to have the leverage, the opportunity that will help you reach your goals. Proper social skills are also necessary and of course, hard work - most important thing of all. It has mentioned the 10,000 hour rule, means that in order for you to be an “expert” of a certain subject, you have to spend 10,000 hours doing it. For example, Bill Gates spent his childhood practicing programing. There were only a few who had computer at that time, but the community where Bill Gates lived had one - and that is where he spent most of his time. That is one of the factors that made Bill Gates one of the richest in our world today. It also states the importance of parenting which play a big part in their children’s success. There was one study made by Annette Lareu where they followed third graders of both wealthy and poor homes. She found out that there are two parenting philosophies and they divided almost perfectly along class lines. The wealthier parents were heavily involved in their children’s free time and nurtured their talents. While, in the poorer families, what a child did was considered by his or her parents as something separate from the adult world and not particularly consequential. It was then concluded that those children who have been given the attention to nurture their capabilities have more chance to be successful in the future. There are a lot of other factors mentioned in the book so I would recommended this book for those who want to be successful in life. It's for all ages. I am off from work for a few days and I plan to do some updating on my Wattpad. Years ago, I have written a short story entitled “Sakit ng Kahapon” or the Pain of Yesterday (Yes, I do write Romance people!). This is a short story written in Filipino, about a college student who had her heart broken by a secret boyfriend. 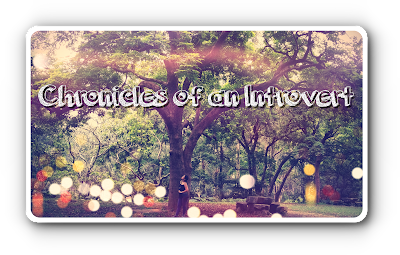 After uploading the short story, a lot of readers asked for part two and then three, four, five… I decided to make a novel out of the short story and so until now, this is still an ongoing novel. Shall you decide to read this story, please don’t pressure me to update right away (I’m a lazy writer and I procrastinate a lot!!!). The story can be found here: https://www.wattpad.com/myworks/474570-sakit-ng-kahapon. Meanwhile, I just turned 26 yesterday. I told myself not to fret as they said age is just a number, good luck to me on that. I’m a year older, however I also ONLY pretend that I’m a year wiser. I guess, that will be all from me today. I promised not to spam your e-mail, so who knows when my next update is going to be. I would love to hear from you, so please let me know what you think! Your comments and/or feedback are very much welcome. Or it does not really matter if it's about this newsletter or not, we can talk anything under the sun.